Dani Pedrosa will undergo surgery in Barcelona today after he was diagnosed with a fractured left arm following a heavy crash on the second night of testing in Qatar on Monday. The Repsol Honda rider will go under the knife after further medical assessments at the Dexeus Hospital today in Barcelona. The triple world champion high-sided at Turn 10 at nearly 70mph last night and he flew back to Europe from the Middle East this morning for more detailed medical examinations. Though X-rays at the Losail International Circuit medical centre last night showed up no damage, further checks in Europe today have confirmed Pedrosa has a broken left radius bone. He also has severe bruising to the left knee, which was still not 100 per cent after he underwent winter surgery to correct a muscle injury he suffered back at last October’s Phillip Island GP in Australia. 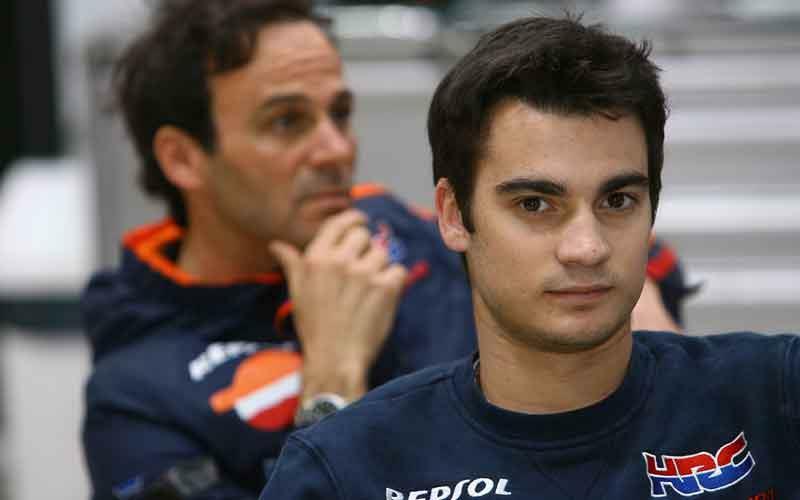 Doctors have confirmed that Pedrosa will have a titanium screw inserted in his left arm. The bruising and a loss of some flesh on his left knee will also need surgery tomorrow. Pedrosa’s latest big crash is likely to rule him out of the final pre-season test in Jerez on March 28, with the recovery from his injuries expected to take between four and six weeks. He is expected to be close to a full recovery when the new season kicks off in Qatar on April 12.